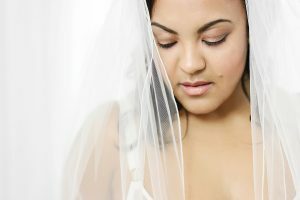 Why You Should Book A Boudoir Session? It will change the way you see yourself forever! To all women out there….. You so selflessly give, love and sometimes get so caught up in others, that you forget to take a minute to appreciate yourself. Well, that is my job, I’m here to help you, appreciate you! My All About You sessions are empowering: mind, body and soul. It reminds you that you are are beautiful, even on those bad hair days! You are so perfect and it’s time for you to see that. Boudoir sessions are so much more than photographs in lingerie. It’s changing the way you see and think about yourself. It’s learning to see the very best in yourself. It’s knowing that you’re flawed and realising that’s what makes you perfect!!. It’s conquering your fears and letting it all go and believing in yourself. I am here to help you on the journey of falling in love with yourself and creating the most beautiful portraits of yourself that you have ever seen! Professional hair and makeup, professional photographer, stunning lighting, exquisite retouching equals some of the best portraits of yourself that you will ever see. I always tell my clients to book a night on the town after their portrait session, because they leave my studio looking and feeling amazing! Waiting to loose that last 5, 10 or 15kgs?? Don’t bother!! A professional photographer knows how to pose you, to flatter your amazing body type and shape. 2. IT MAKES A GREAT GIFT FOR YOUR GROOM/HUSBAND/PARTNER! Just think about the look on his face when you surprise him with beautiful portraits of his love. He thinks you are beautiful, even on your worst bad hair days, and in your trackie pants, so show him just how smoking hot you are in classy lingerie and professional hair and makeup! It’s quite possibility a side of you that he has never seen. 3. IT MAKES A FABULOUS GIFT FOR YOU! What a way to boost your self esteem and show of your beauty with photographs that you can treasure for a lifetime and hand down to the generations that come after you. Do it for yourself. Indulge. Be pampered. Love every single second of the experience! Your skin care regimen is sorted for the next 6 months leading up to your wedding. You teeth are the whitest they have ever been and you have skipped the Friday treats at the office to make sure you are looking your very best for your wedding day. Show off all that hard work and document this amazing part of your life forever. Women tend to put others first in their lives. Take some time out for yourself and go shopping for yourself!! I always chat to you before your session so I can create a look you are going to love. This may include hitting the shops for a few extra pieces. Ensuring you have great fitting lingerie is so important. A beautiful lingerie set under his favorite white shirt looks amazing photographed. 6. WHY NOT MAKE IT A GIRLS DAY OUT?!? We girls love doing things in pairs or threes right?? Come into my studio for a girls day out, beautiful hair and makeup, fabulous fun photo session, paint the town red that evening! Easy!! Great idea for a hens night celebration. Allowing yourself to be treated like a celebrity for a few hours is terrific therapy for anyone!! But just wait until you see the photos for the first time, you will be blown away. It will change the way you see yourself forever. Have you just completed that 12 week gym challenge?? Or maybe you have an anniversary coming up. Why not get this amazing time in your life documented in the most gratifying way? Celebrate your unique life! I love to customise each and evey boudoir session so give me a call to find out all the details. Or head on over to my contact page to fill in the form. Easy. You just might have the time of your life.